A hive of activity this summer, the UK has never been livelier or more exciting. With plenty of events scheduled to take place over coming months, the whole world is focusing on our country and that means tourism is set to increase. For home residents, finding new and exciting ways to explore the UK is therefore a priority. Caravanning holidays have always been a popular and important part of British holidaying culture but this year our favourite holiday accommodation could take on even greater significance. For those interested in truly travelling around the UK, caravanning offers the freedom to go exactly where you choose. There are plenty of caravan sites and parks located across the UK with sites such as Caravan Club offering a comprehensive list of the best ones. Whether you’re looking to rent a static caravan or have your own touring caravan which you intend to travel in, these sites are the perfect place to see some of the UK’s best features. 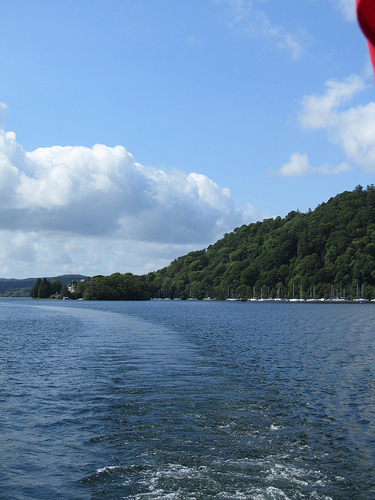 A popular tourist destination year after year, the Lake District is a great place to caravan. The natural landscape is what draws most visitors to this area but there are plenty of other attractions for you to enjoy as well. Literary figures such as William Wordsworth and Beatrix Potter have deep connections with the area and the nearby Yorkshire Dales are just as impressive. Must see attractions: Devil’s Bridge, Lake Windermere, The World of Beatrix Potter and White Scar Caves. Another area of impressive natural beauty, the Brecon Beacons is one of Wales’ most celebrated destinations. The unique landscape is a testament to the diversity and lusciousness of British pastures and there are plenty of activities for families and visitors to enjoy in this region. Must see attractions: Carreg Cennen, Brecon Cathedral and Llangors Lake. An ancient town with a striking appearance, York is enshrouded by history and intrigue. This is the ideal spot for those looking for a short city break and there are plenty of historical ruins and elaborate architectural structures for visitors to explore. Must see attractions: Roman Wall, Jorvik Viking Centre, Cold War Bunker, National Railway Museum, York Dungeon and Castle Howard. A southern paradise which is just as famous for its landscapes as it is for its traditional English snacks, Cornwall is another great destination for caravanning holidaymakers. Setting up base in this coastal town is the perfect way for you to witness the spectacular appearance of England’s southern districts, with stunning views and relaxing atmospheres guaranteed. Must see attractions: Truro Cathedral, Glendurgan Garden, St. Mawes Castle and the Eden Project. For those interested in journeying to our northern districts, Glasgow is one of the most spectacular destinations. With easy transport links to impressive locations such as Edinburgh and the rural paradise of Loch Lomond, there is plenty of opportunity to explore further afield when staying here – allowing you to truly travel the UK. Must see attractions: Kelvingrove Museum, Glasgow Cathedral, Necropolis, Gallery of Modern Art and George Square. A guest post by Caravan Club-The UK’s leading caravan insurance and caravanning website.